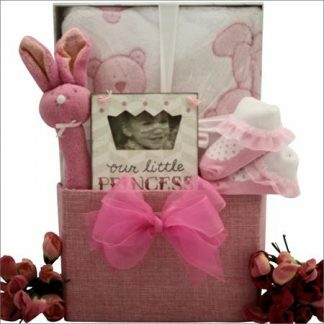 It’s her 1st Birthday, so help her to celebrate this milestone by sending this adorable “Baby’s First Birthday” Gift Basket. 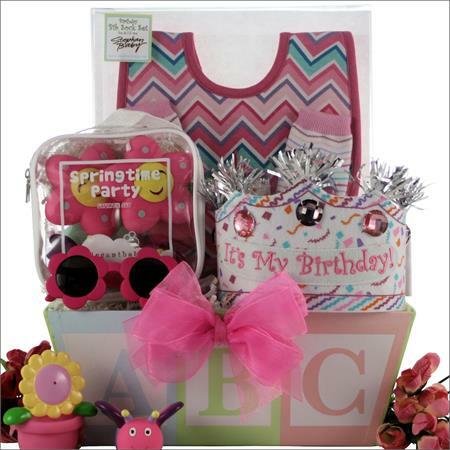 She is going to looking spectacular in her “It’s My Birthday” Crown, “It’s My Birthday” Bib & Sock Set and Hot Pink Daisy Shaped Fashion Sunglasses. Plus, when it’s time to wash off all that cake she is going to have a blast with her “Spring Time Party” Bath Squeaker Set. 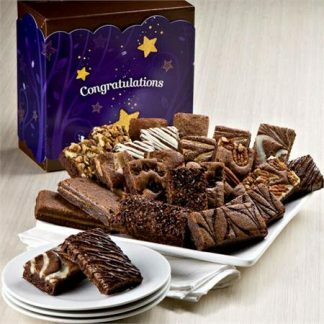 A great way to share in her special day. 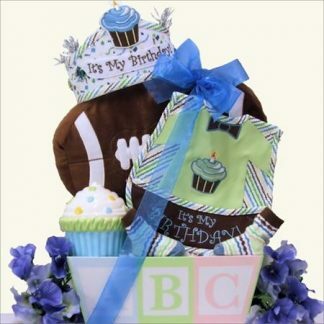 …in an “A B C” Rectangular Paperboard Gift Box.